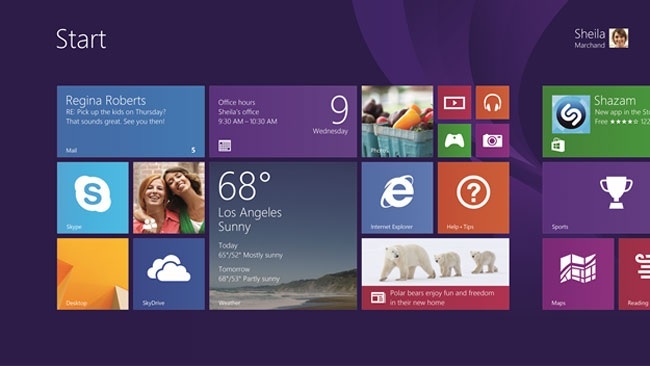 Microsoft unveiled the much-anticipated Windows 8.1 OS earlier this week. The updated OS brings several new features that were missing in the Windows 8 including the return of so-called start button, improved applications, ability to boot directly to the desktop and much more. However, a new report suggests that Microsoft’s latest operating system is unlikely to reverse the PC market’s declining trend in 2013 and even 2014. The report emerged from Digitimes, citing sources in the supply chain, suggest that the declining trend for PC sales will continue. In addition, the PC vendors like HP, Acer, Asus and Lenovo are still optimistic about Windows 8.1 and prepping up devices to launch for the holiday season, with a hope to boost the PC sales. The sources pointed out that Microsoft’s slow pace in responding to consumer demand has seriously damaged the software giant. Since the company also failed to seize the best opportunity to promote Windows, and the PC industry is already walking downhill, the sources believe Windows 8.1 is unlikely to contribute much. The sources pointed out that orders from brand vendors for October remained at a high level similar to that of September, showing that brand vendors still have high expectations for the year-end holidays. The PC market has faced a declining trend especially after the launch of tablets. People prefer to carry a 7-incher or a 10-inch tablet like iPad while travelling for easy portability. Anyway, we’ll find out very soon whether Windows 8.1 can really increase the PC sales or not.